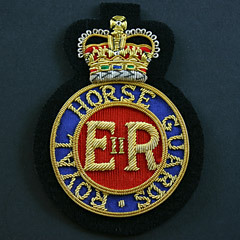 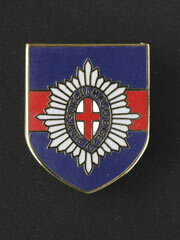 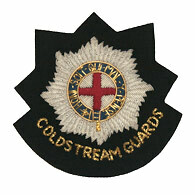 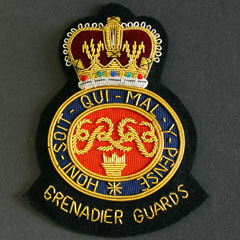 Guards Regiment Blazer Badges, Ties, Lapel Badges and gift sets. 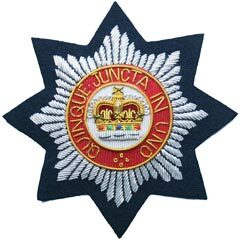 Listed below are some of the more common Guards items including: Brigade of Guards, Coldstream Guards, Grenadier Guards, Royal Horse Guards, The Scots Guards, The Welsh Guards and the Irish Guards. 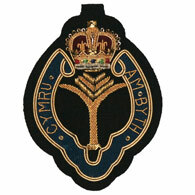 Although requests for other British Army, Corps, Regiments, Naval and Royal Airforce Blazer Badges are welcome. 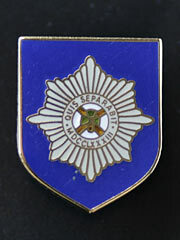 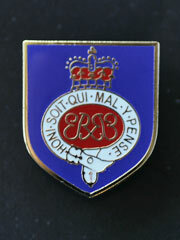 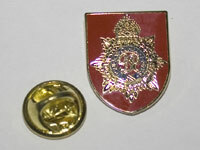 These badges are typically about 15mm wide by 18mm high. 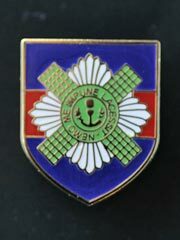 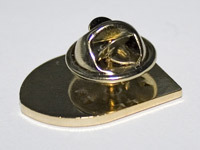 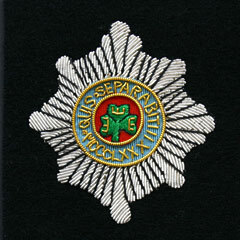 These badges have a sharp pin and fastener as illustrated, they are not toys and are not suitable for children. 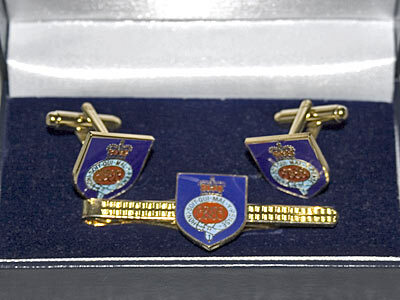 Grenadier Guards Cufflinks and Tie Pin. 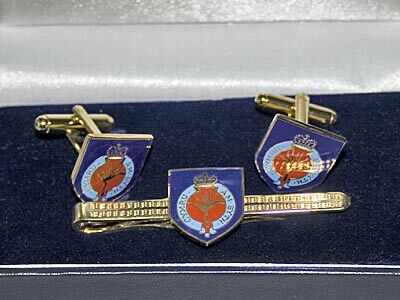 Coldstream Guards, Cufflinks and Tie Pin. 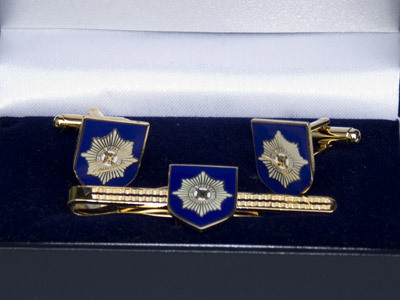 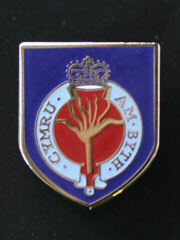 Welsh Guards Cufflinks and Tie Pin. 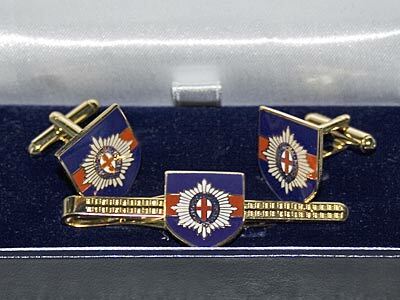 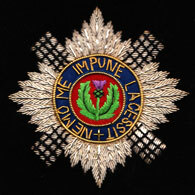 Scots Guards, Cufflinks and Tie Pin. 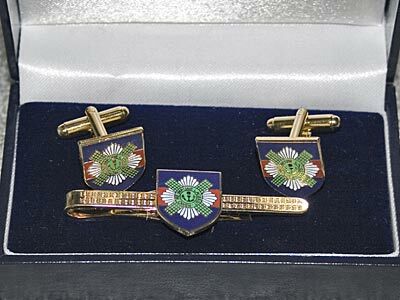 Due to differing manufacturers the designs are subject to minor variances, we try to provide a Blazer Badge as close as possible to the ones pictured on this website, we will replace or refund if you are not satisfied with your purchase. 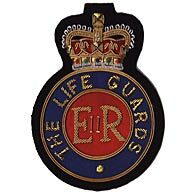 * UK P&P £2.25 on most orders - Great Value (automatically added at checkout).